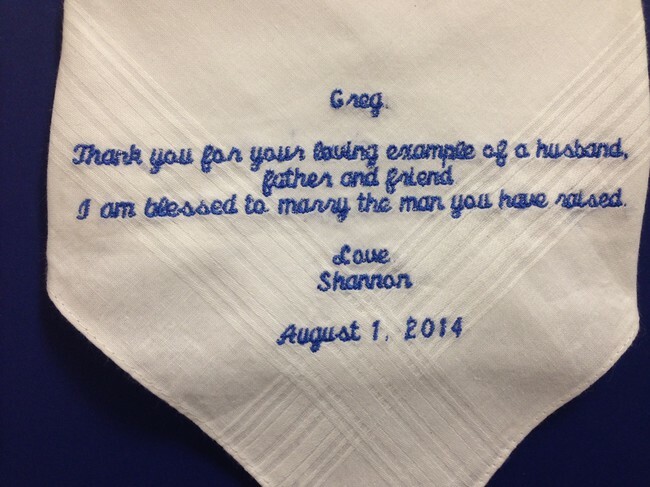 One of our customers brought in this handkerchief that was given to her husband at her son's recent wedding. The bride composed and stitched this wonderful tribute to her new father-in-law. It deserves to be displayed and cherished.